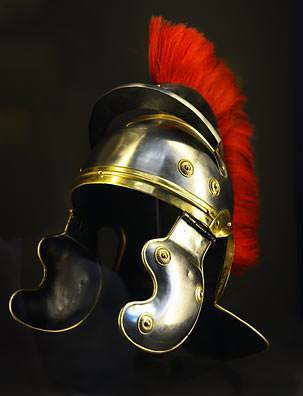 Although centurions were relatively low-ranking officers in the Roman army, commanding 100 men within a legion of six thousand, they played a crucial role in the day-to-day running of that army. 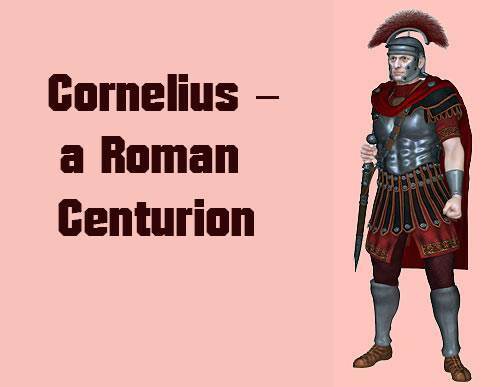 Centurions like Cornelius generally rose from the ranks, being selected by merit, whereas the high-ranking officers were more likely to come directly from important Roman families. The Roman soldiers in Palestine acted as an armed police force, and how the inhabitants were treated largely depended on how the centurions reacted to local incidents, as they were the officers who were in closest touch with local communities and what went on in them. A centurion, according to historians, was chosen for character and courage. One must not demean these qualities in anyone, but what are character and courage—without conversion? 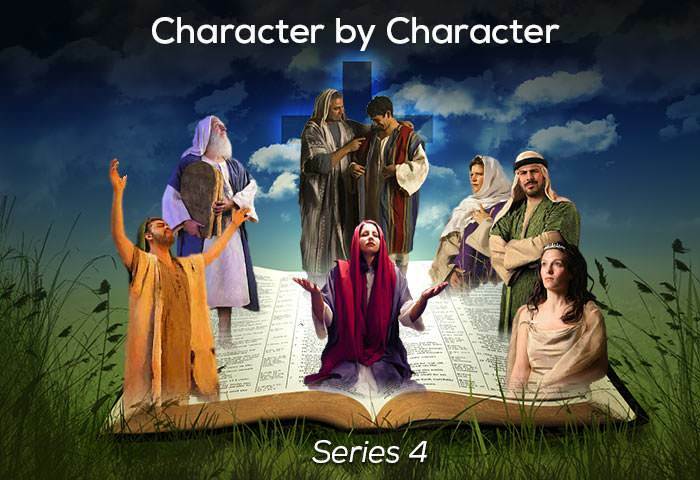 Character can help us to live nobly in this world, but it is not the key by which we enter heaven. Then what is the key? Christ! Cornelius was a centurion of the Italian Regiment and was, according to Scripture, a ‘God-fearing’ man. The Italian Regiment was made up of Gentiles who attended the local synagogue, but who were not proselytes—i.e. 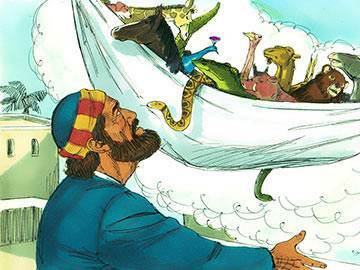 those who were circumcised and received fully into the Jewish faith. Centurions are spoken of favourably in Scripture. For example, we are told that a centurion built the synagogue in Capernaum (Luke 7:2-5), and Jesus described this man as having outstanding faith (Luke 7:9). The devotion which Cornelius had for God was expressed, according to the light that he possessed, in prayer and giving alms to the poor. Such was the deep devotion that underlay these acts that his prayers and sacrifice were highly pleasing to God (Acts 10:4). 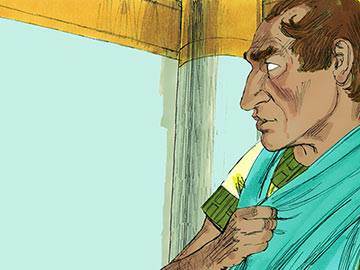 Not only was Cornelius a devout and sincere seeker after God, but so too, it appears, was his whole household. When Cornelius saw a vision of an angel who instructed him to send messengers to fetch Simon Peter from Joppa, he was able to take into his confidence a soldier and two of his servants and entrust them with this important mission. No doubt, after the initial fear of seeing the angel had abated, Cornelius would have been filled with joyful expectation at what lay in store for him and his household, following the arrival of Simon Peter. Many of the Jewish disciples in Jerusalem would have been astonished if they knew God had given a vision to Cornelius who, in their eyes, was nothing more than a pagan. But how dramatically this event underlined the truth of what Samuel the prophet said many years before: you can read about it in 1 Samuel 16:7. In this chapter of Acts, something intriguing and momentous is about to happen, and Peter has to be prepared for it, because it runs counter to his preconceived ideas and Jewish background. 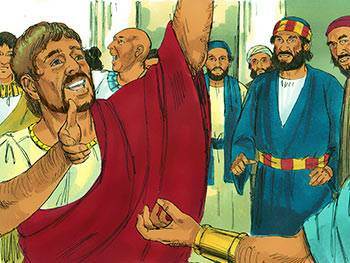 God is about to welcome the first Gentiles into His family, and as Simon Peter is the one chosen to administer this event, his bigoted attitudes towards Gentiles coming into the Church have to be changed. Just as Cornelius received a vision while in prayer, so also does Simon Peter. In the vision, he sees all manner of four-footed animals and is told to kill and eat those that are unclean under the Law. When he protests, God tells him not to call common what He has made clean. This vision is repeated three times, presumably to drive the message deep into Peter’s heart. 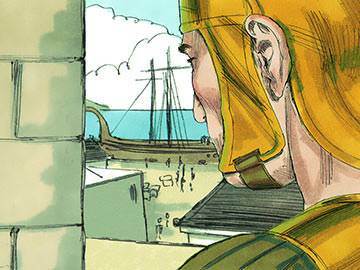 A centurion was the commander of a hundred men in a Roman legion. The number of centurions in a legion was 60, the legion always comprising 60 centuries. The ordinary duties of the centurion were to drill his men, inspect their arms, food and clothing, and to command them in the camp and in the field. Centurions were sometimes employed on detached service the conditions of which in the provinces are somewhat obscure. Men like Cornelius (Acts 10:1; 27:1) may have been separated from the legion to which they properly belonged for the discharge of special duties. 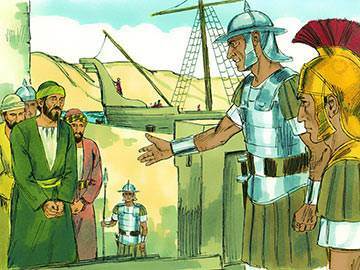 They and other centurions mentioned in the Gospels and the Acts (Matt. 8:5; Mark 15:39, 44, 45; Luke 23:47) are represented by the sacred writers in a favourable light. As we said earlier, all the centurions mentioned in the New Testament are favourably described, and appear as just and fair-minded men. 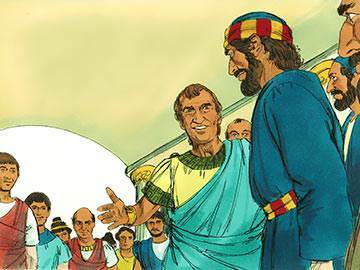 Take another example: on the long journey to Rome, Paul was well-treated by the centurion, who allowed him to visit his friends and receive their hospitality (Acts 27:3). 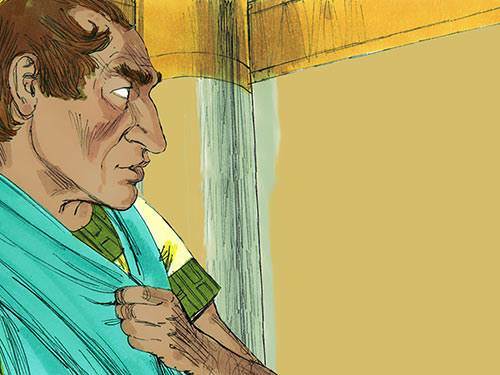 Cornelius, like the centurion at Capernaum, was highly regarded by the Jewish community in which he lived, and was known to be an honest and upright man. He must have been a man of outstanding character and reputation to break down the many barriers that inevitably existed between the representative of an occupying power and a subjugated population. Do you hold any leadership role or have any responsibility for managing the affairs of others? One of the first requirements for this is that you are ‘just’. This is, in fact, a Biblical requirement. Read 2 Samuel 23:3 and see! Cornelius’ sense of expectation over the impending visit of Simon Peter knows no bounds, and he calls together all the members of his household to await the apostle’s arrival. When, at last, Simon Peter enters his home, Cornelius falls before him in great humility, but Peter encourages him to stand, saying: “I am only a man myself” (v. 26, NIV). Cornelius introduces Simon Peter to the audience in his house with great skill and understanding. Peter begins his message by stating that, although it is unlawful for a Jew to associate with or visit a Gentile, God has shown him that he should not call anyone common or unclean. 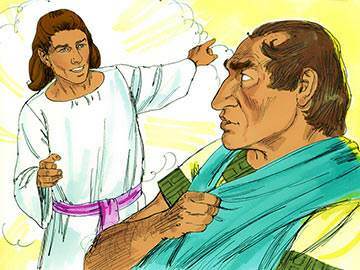 The great apostle showed a humble spirit too! It is obvious, in reading the story of Cornelius, that wherever there is a seeking heart, God is there to hear and answer. The chapter begins with a man praying, and ends with a great outpouring of the Holy Spirit. Peter preaches to this earnest and expectant congregation a clear message of salvation, showing that God accepts those of every nation who fear Him and do what is right (Acts 10:34-35). During Peter’s sermon, the Holy Spirit falls on Cornelius and all his household, much to the amazement of the Jewish believers who accompanied Peter. When Peter sees with his own eyes the evidence of God’s approval of the Gentiles, he commands them to be baptised, and thus confirms the entrance of the first Gentiles into the Church. Whatever knowledge or understanding a person has of God, that understanding and knowledge is greatly deepened and enhanced by a personal experience of Pentecost. 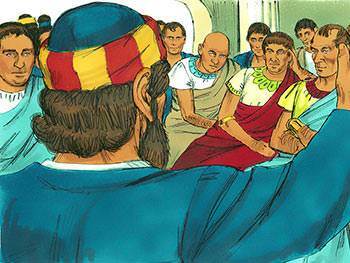 On which side of Pentecost are you? The account of Cornelius is a milestone in the life of the infant Church. It is important to notice that Cornelius’ pre-Christian religious experience is not condemned, denied or despised, but brought to fullness through the preaching of the Gospel and the power of the Holy Spirit. Cornelius is led forward to a higher standard of conduct in Christ and to accept Him as the Lord of the universe.